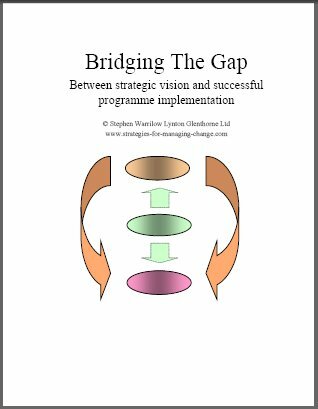 Bridging the gap between strategic vision and successful programme implementation is key to realising the benefits of your initiative. Yet so often I see organisations attempting to move straight from strategic vision exercises - mission statements and the setting of strategic objectives into the detail of a project level implementation. 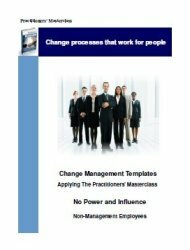 Surprisingly, large organisations [who arguably should know better] are just as guilty of this as smaller organisations who could be forgiven for their lack of awareness of a programme based approach to implementating a step change. In both cases the results are usually the same - a failure to realise the benefits. (2) The cultures - that will determine largely how the people will behave. “"Everything is in a process of change, nothing endures; we do not seek permanence." Two ways of looking at life: Fixed or Fluid? In essence there are 2 ways of looking at life. We can either see it [or wish it] as fixed and in this perspective things are seen as separate and in stasis, and we can build a map of reality and regard it as a reality based on certainty, rationality and clear polarity; or we can see life as it really is... fluid…. In this fluid perspective things are perceived as inter-connected [even though the linkages may not always be apparent], constantly in movement and changing. 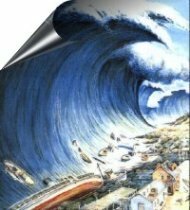 For an organisation to survive and prosper [or even just survive in the current climate] feedback processes and behaviours need to be aligned to the reality of the environment in which it operates or it dies. 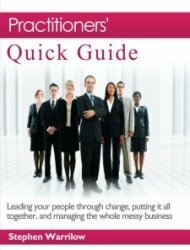 Organisational processes, behaviours and cultures evolved for a fixed and static environment will have limited effectiveness in a fluid reality, and will require constant readjustment. (2) To keep it aligned to that reality. “One key reason why implementation fails is that practicing executives, managers and supervisors do not have practical, yet theoretically sound, models to guide their actions during implementation. Given that (a) the culture(s) of an organisation is what will very largely determine how people behave and react, and (b) the culture remains hidden, it is imperative that we use a model that recognises this. I draw a parallel with the individual, and the role of the unconsious mind in determining largely how the individual will behave. The individual who seeks to change, has to address and change or "re-programme" her unconscious mind. And the first step that is necessary to bring this change about, is to make the unconscious stuff conscious and visible. In other words a process of cognition. This process of cognition will usually entail some form of external support, facilitiation or assistance. It is the same with an organisation. It cannot change until the "unconscious programming" [culture], that makes it behave the way it does, is made visible and then "re-programmed" to align the culture with the strategic vision and changed direction. 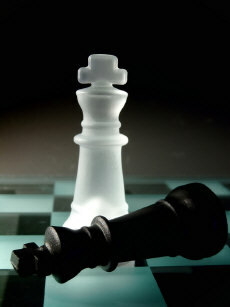 A strategic model that sees organisational change in the same way as personal change. My model recognises the existence of and relationship between these 3 dimensions within an organisation [though we might change the labels slightly]. (1) The Inspiration - Guiding Purpose - Strategic Vision aspect of the organisation [provided by the leadership] - which [should] drive, shape and change the direction of the organisation and define and reinterpret its culture. 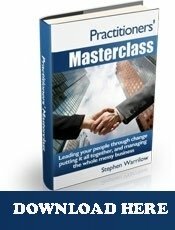 (2) Then there is the self-conscious part of the organisation - more simply seen as the everyday business-as-usual, visible organisation. (3) Sitting below all this is the unconsciousness or invisible aspect of the organisation comprising the culture and sub cultures, which are the source of the true drivers of how the organisation performs. (3) Have the appropriate tools, techniques and processes to make the changes to the culture. My proposed model sees an organisation migrating through varying states, commencing with the not very functional where vision has a very limited impact on the organisation; the culture filters and deletes so the organisation sees what it wants to see and the culture imposes resistance and “blockers” on the organisation. 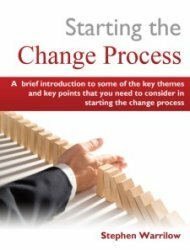 Through the application of a programme management based model of step change and the other supporting strategies and methodologies that I am outlining on this site, the organisation moves through several stages until it reaches a post change state. In this state the organisation ensures that culture remains constantly aligned to vision, and that there is a constant alertness for blockers and resistance and a rapid implementation of processes to address and remove them. If this model doesn't help or add value then please ignore it! But please hang on to the significance of the relationship between your vision, the day to day organisation and the culture [and sub cultures] that drive it. 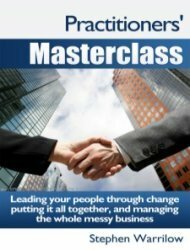 Put very simply - you cannot make a step change [and realise the benefits] without changing the culture of your organisation.